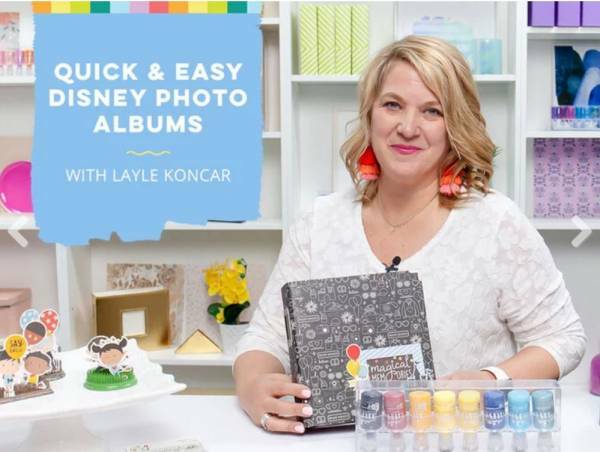 Layle Koncar is offering a FREE class on making quick and easy Disney Albums. The class includes 6 different lesson from where to start, the best ways to add photos, using stamps, dies and stencils, using memorabilia and more. If you are wondering what to do with all of the photos you have stored on your phone then this masterclass is for you! Jennifer Wilson of Simple Scrapper is holding a free webinar all about getting more you in your scrapbooks. She offeres two time options for the webinar to be held on Wednesday, February 19th. Hop over to Paula Gilarde’s blog for a chance to win a free pass to this December Story class from Debbie Hodge at Get it Scrapped. If you’ve ever wanted to know more about how Becky Higgins’ Project Life System works, and how you can use it, she is holding a free live workshop on Creative Live from November 20 -22 starting at 9am PST. Katie from Punk Projects has just released a self-paced class all about mini-albums. In this class you will learn techniques for making the 10 mini albums pictured above. All for only $10. Click here for more information. Katie of Punk Projects will be holding this 10 day mini class all about Art Journaling. Sign up for $10 to get 10 prompts for 10 days from August 1st to 10th. Click here for more information.